Discovered a new video music series called In The Open, via a performance of Brooklyn’s Pamela Martinez (aka Teletextile). The shoot took her into the hills of LA with Active Child‘s harp , where they were met with perfect lighting in the middle of the woods. Check out her brand new song “The Lark”. In the Open: Teletextile – The Lark from In the Open on Vimeo. If you’d like to hear more of her music, I recommend “What If I” and “I Don’t Know How To Act Here“. 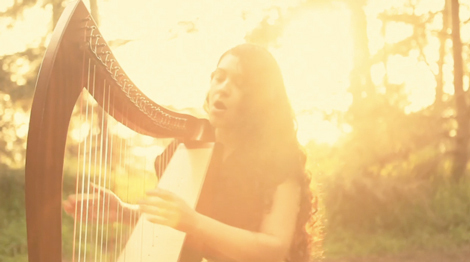 Find her in Austin, look for the harp.